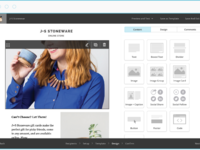 Pros: 1) Template Compatibility: The templates that you choose in MailChimp are optimized to fit on all screen sizes. Whether the recipient has a smartphone, a desktop, a laptop or even a tablet, your content will be delivered to him/her the way you want it to be. Cons: 1) User Interface: MailChimp does have a user-friendly interface(s). However, the problem is that they change the User Interface every time they roll in a new update. Yes, this will be easy to master in a short while, but that still requires a NewsLetter team to get accustomed to the new interface. This wastes a lot of time. Overall: MailChimp is quite a popular tool that is frequently used by budding enterprises because of it's generous Freemium model. I started using MailChimp around 3 years ago and I've never been happier. This tool helped me understand where I went wrong with my campaigns, improve them and made me save a LOT of money by deciding not to hire a separate design team. After using it for a few months, I realized that switching to one of MailChimp's paid models would benefit me way more. Pros: Mailchimp has a truly professional feel to it. The interface is responsive and well designed. The platform makes it easy to start for free and offers flexible plans, perfect for a startup. Mailchimp has many tutorials available that came in handy more than once. They also use a good sense of humor, making for a less boring experience when reading technical material. There are many options to customize the service and I found it easy to make all the necessary changes in order to set my account for a Spanish audience in Mexico. Cons: Mailchimp works wonderfully well, but it isn't for the faint of heart when it comes to the initial customization. Sure, the documentation is great, but it does take a while to setup everything. It wasn't clear to me how to use templates inside campaigns, for instance, but even without reading all the documentation, one can deduce much of the functioning by simple trial and error, which ended up being my preferred way to learn my way around. Overall: I am very satisfied with Mailchimp and would highly recommend its use to anyone who is serious about scaling a potentially big business. I will surely consider Mailchimp for my personal brand as the first 2,000 subscribers are free anyway, which makes for a sweet deal! Cons: Mail chimp does not encourage using their service for affiliate marketing even after you pay for their product. I learnt this the hard way when my defaulting account was blacklisted. I also observed that emails sent to Gmail landed in the promotion tab while some company internal servers blacklisted emails sent from my Mailchimp account. You should do well to beware of the forever free plan because they don't provide customer service for it after 30 days and it does not support autoresponders. The pricing plan is not very straightforward to understand. Over the years, they have included some changes which are not great from a customer perspective (like the need to verify that your contact was gotten from a subscription page) and the reduction of contact allowed on the free forever plan to just 2000. Overall: The learning curve for me was very straight forward. I have been able to record improved conversions from my marketing emails due to the high customization of email prepared with this software. 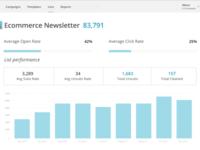 Pros: Mailchimp has a robust and user friendly dashboard that makes it easy for a novice to get started with an email campaign. 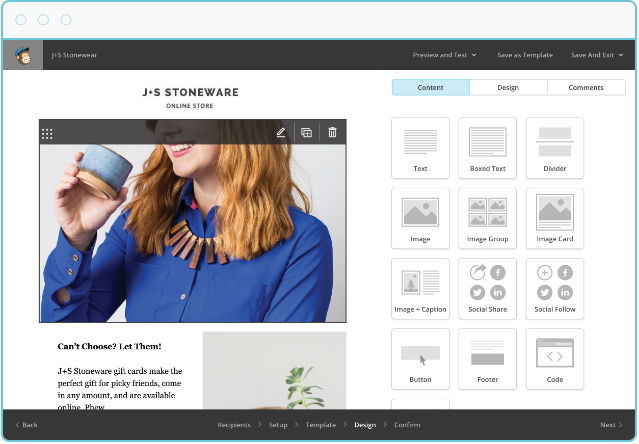 That being said, hidden below the surface of templates and cookie cutter designs are fully customizable features and the ability to code your own emails. I believe it serves as the best of both worlds for the unassuming small business owner who really does't have time to learn or the the money to hire a professional to handle their email marketing; it also allows large corporations with a scantly lit room full of code loving nerds to have full control of their email design. Mailchimp doesn't discriminate between these two worlds when it comes the analytics and reporting , they have a terrific suite of tools to measure success. 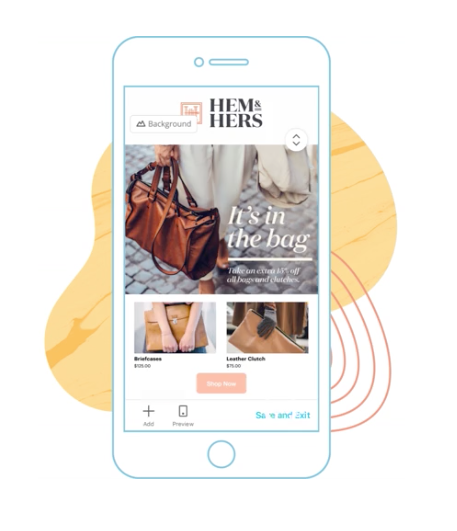 To top it all off, Mailchimp is constantly updating their technology to improve their product and help businesses communicate with their customers. Cons: The worst thing about Mailchimp is their pricing, they can get pretty steep when you start trying to expand your reach and communicate with a larger audience. The pricing isn't outrageous, but it also isn't competitive. The other cons in my opinion are personal annoyances and probably aren't shared among a whole lot of other users. Their automation tools are a bit limited, my expectations were set high based on all the features that Mailchimp has, automation is one that is still a work in progress. My other annoyance is the branded copy all over the site, it's like being instructed by two dudebros who are constantly making inside references as they show you around. Some probably find this very charming, I find it kind of irritating. Overall: Working for a non-profit and having a very targeted base of individuals that I am trying to communicate with can be cumbersome and frustrating because that target group is very segmented by demographics. Mailchimp allows me to modify how I communicate with these segments, without having to reinvent the wheel and send separate campaigns to each segment. I can easily create one campaign and then segment from within to make sure I am communicating correctly to each group. Pros: Mailchimp is absolutely ideal for corresponding with customers/clientele, especially, (and from my experience), for small businesses and non-profits. Not only is Mailchimp very affordable for businesses with limited budgets, it is a great way to manage and store the likely smaller customer lists those businesses have. In my personal experience, I have loved the way the "unsubscribe" feature works with Mailchimp. It notifies you as the user when and why someone requests to be unsubscribed from future correspondence, and ensures they are actually removed from your Mailchimp list. I have found that this is so much more foolproof than keeping up with your own list in a simple spreadsheet. Along those same lines, mailing out to a list on a spreadsheet and/or directly from an email account often results in the message being flagged as spam/junk for recipients. You also often have limits as to how many addresses you can send a message to at one time, creating additional time and work for the user. Mailchip does it all for you with one click of the button. Not only that, you can review analytics including how many people have opened the email, how many additional clicks links within the email have gotten, how many emails were undeliverable, and more. It is just so user-friendly, and I have never come across anything comparable that gives you more bang for your buck. Cons: Sometimes the formatting of an email newsletter-type communication can be tricky for a novice on Mailchimp, but after doing it once or twice, you get the hang of it and it becomes much easier. The "test email" feature also eases my own mind, knowing that I can see exactly what it will look like in my customers' inboxes before I actually send it out for real. I generally send it to my personal and business email addresses, read them on my desktop and phone, to make sure the formatting looks correct on all before sending. Although that is a bit tedious, I have peace of mind knowing what I send out looks professional and readable. So easy a Chimp could do it! Pros: Mailchimp's free plan allows you to have up to 2,000 subscribers and includes 12,000 emails you can send out, per month. For those new to Mailchimp, there are numerous preset templates you can choose from which you can further customize to your liking or create your own from scratch. Campaign templates can incorporate images, polls, embedded videos, call to actions, plain text, and custom HTML. Once you have created a template - with the specific look you are looking for - you can duplicate it and create your next campaign so you do not have to start from scratch. It's likely you will encounter someone on your subscriber list who either resides or works for a company in the EU. Mailchimp has all the needed GDPR tools and regulations in place to make your campaign process as easy and stress free as possible to manage. Uploading new contacts to your subscriber list can be done in minutes (CSV files). You can also create multiple lists which you can further segment into more specific groups (in the case you may not want to send the campaign to the entire list of your choosing). Before sending off your campaign you can preview what it will look like to your recipients on desktop and mobile devices and check your links to make sure they work appropriately. 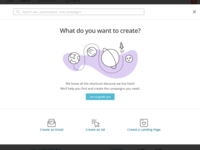 Mailchimp also provides A/B testing and basic analytics, pertaining to each campaign you send out, to give you more insight into the campaign's open rates and clicks. Cons: I have very few complaints about Mailchimp, but I do wish they could incorporate spell check into their system somehow to help expedite the editing process. Also keep in mind, if you choose to upgrade from the free plan into a paid plan, you can only downgrade back down to the free plan once. If you choose to make any changes to a campaign that has already been sent off, it will not update those campaigns, it will only show those updated changes to those you send the campaign to after saving those changes. Meaning if you find a mistake in a campaign you have recently sent out, know that there is no "undo" or fix. Overall: Mailchimp is a wonderful email campaign platform. We are currently utilizing the free version, going on 5 years now, for our bimonthly newsletters and have never run into a single issue. As a marketer, my favorite thing about Mailchimp is the ability to share our newsletters and subscribe links via social media. You can also create pop-ups or static forms to embed on your website so that when people subscribe they are automatically added to your subscriber list. Pros: One of the reasons Mailchimp is so popular is that it's pretty easy to use. It was definitely a pioneer in the drag and drop space for email templates. And they've added a lot of bells and whistles over the year as well. Plus, they're a generous and charitable company, which I appreciate. Though you could easily spend days trying to learn all the features, if you have pretty simple needs, you'll be able to get up and running fairly quickly. Cons: Mailchimp was a leader in the market when they started. I'd argue that they've fallen behind the curve. I believe they started adding new features like landing pages and ads, when they should've really caught up with their competition in their core asset-email marketing. If you only really need to email the same group of people over and over again, or have a few sub-lists working in tandem with the main one, Mailchimp gets the job done. But if you have multiple opt-ins, for example, you'll be disappointed at how clunky the system is to navigate, set up, and organize. A lot of patchwork has to be done, or you have to operate a lot of different lists, which isn't recommended. This is where I find myself, and why many people I know have switched away from this software. It is a basic need for so many businesses now, and one of the reasons I think Mailchimp is losing market share, despite adding several new features over the past two years. I'd really love to see them get back to the basics and make strong improvements there. Overall: One of the reasons I have stuck with Mailchimp, at least for now, is how easily it integrates with Squarespace. It's hard to think of changing that. Overall, Mailchimp has been a good option as a startup with limited time and resources. Depending on people's needs, I do recommend it to friends and clients, but it certainly has it's limitations for growing and scaling with more complex needs. If you are new to email marketing, though, certainly give it a try as your training wheels. It's worked out well for many people and companies. Pros: Intuitive with a lot of options for smaller businesses without dedicated marketing teams to offer polished outreach tools that are normally inaccessible. This product allows sales teams, company marketing efforts, and recruiters to all have outreach tools for relatively cheap. Free options to test out products initially to see how it fits your company/departments needs. Cons: There are a lot of limiting factors based on anti-spam marketing laws (emails), FTC, etc., that MailChimp doesn't necessarily let you know before purchasing and sending out campaigns. You learn quickly limitations such as the inability to send out emails to mass email lists through MailChimp because they don't want to violate these laws. Your lists must be organically obtained (such as through your website or ATS landing site, job ads, advertisements, etc.) in order for them to be used through MailChimp. So forget purchasing an email list from a recruitment organization and then emailing thousands of cold candidates through MailChimp, you will be flagged. Also, you need to be aware AND track candidates that asked to be removed from future emails and ensure you do NOT email them again to stay compliant. Overall: Our company has mostly used Mail Chimp as a recruiting and advertising tool to reach candidates for potential job opportunities. MailChimp was one of the first professional template based email marketing tools to send out mass emails to potential clients, recruits, etc. Over the years, they've refined their products and added social networking tools as well as other current trending tools for outreach. They are quite useful in adding these important tools to small to mid-sized companies that could benefit from these tools but may not necessarily have the budget to develop and utilize these tools in-house. In addition, the tools are quite affordable and there are several free sample versions/credits you can use to test out the product. The most useful tool I have used consistently with MailChimp is their automated mass-email campaigns. Provided that you obtain the list based on the candidate/clients interest and not through spam based lists, you can send out polished lists for automated outreach to large groups of individuals. We have also used MailChimp to conduct employee and client satisfaction surveys, etc. In general, lots of tools for smaller companies to utilize to stay relevant and competitive with larger companies and you can scale the account/costs to your individual needs. There are limitations with FTC/internet/marketing laws that smaller companies may not be aware of, but you learn quickly. If you know how to do MS Office mail merges, this product works. Pros: MailChimp continues to improve and add enterprise type features that you would normally pay much more for with other ESP's. Features that we get the most out of are the automations, transactional service (Mandrill), and store syncing to pull customer data and purchase behaviors into MailChimp for segmentation and triggers. We have been with MC for years and each year it continues to get better. The custom short codes we can use for personalization are very helpful in creating campaigns that are unique to the individuals that are receiving them. Cons: While they continue to advance, this ESP is still along way from an enterprise solution. The syncing is great, when is works properly. MailChimp does not actually provide the connection with different shopping carts and instead relies on third-party app developers to provide this. This leads to a bunch of issues trying to get support because each wants to point the finger at the other. Mandrill is a great service for transaction sends, but it was combined with paid MailChimp accounts awhile ago instead of a standalone service. Wish they would have kept it separate because there is much more potential on its own. I don't like that you can not combine template types when creating a new campaign/automation. You have to either select a pre-made template or code your own. I wish it had the ability to do both. While the automations are a must have in today's world, and they are continuing to improve them, there is still a long way to go with these in my opinion to catch up to other ESP's. Overall: Overall our experience with MailChimp was a good one. I think it is a perfect platform to get going on to build your audiences and find your groove. Just know that you will outgrow this platform and your need for more advanced features will push you to a different service. If you want to use some semi-advanced features of most enterprise ESP's, you will ned to utilize additional middleware to accomplish this. But MailChimp is a great return for the investment. Pros: The best thing about Mailchimp is the ability to customize your target lists to ensure the right people are getting the right message. The days of going through spreadsheets to figure out who to send what are over and you never need to worry about sending the same person duplicate emails (unless they signed up to your list with different email accounts). The integration with social media is very convenient and really helps messages get an even further reach after they are sent. Also, having an archive of emails with many ways to view metrics on each of them as well as access to each recipient's behavior is very valuable. Cons: The basic editor is very buggy so you have to be sure things look and work right every time. Even when you do make sure things work right in the preview, they sometimes don't in the actual email that goes out. When you cut and paste copy, it is unpredictable what the outcome will be because styles embedded in Mailchimp or the original document get easily mixed up. Most of these issues can be fixed if you go into the html view but who wants to do that when the purpose of the software is to help make things easier? There are a lot of limits on what you can achieve with the look of the emails you create using the set blocks Mailchimp provides. A simple option like lining up images next to text either on top, middle or bottom should be present but is not. There are ways around this by editing your images to force the look you want but that should not have to be. If you have more than one type of business, it is impossible to have some different social media accounts linked or different business info settings created for selection. 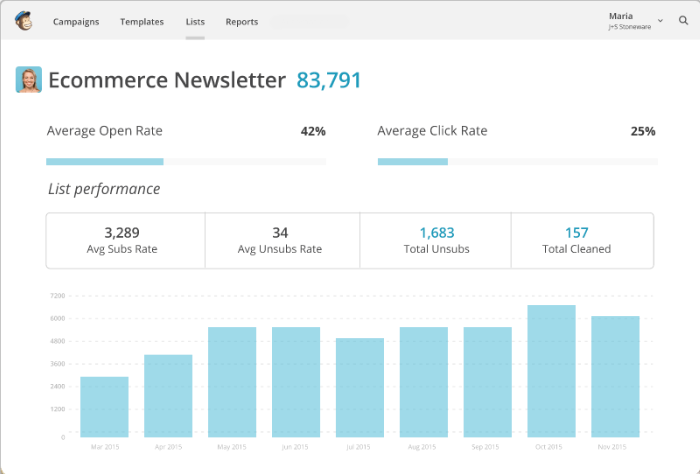 Overall: Overall, Mailchimp is a good tool for sending out email campaigns. It's simplicity has saved a lot of time and the way the contact lists are handled is superb. Some of the quirks I mentioned in the cons section are very frustrating but livable when weighed in with the pros. The recent GDPR regulations were a strain on our organization but getting our Mailchimp list compliant was the easiest part. If your organization generally sends out one type of message or you don't have to worry about different divisions of your organization needing to have different settings, Mailchimp should work very well for you with very little issue. Our organization is more complicated with the need to send very different messages from different divisions and sub divisions so it is trickier for us to use. It would make sense for organizations like ours to have multiple, separate Mailchimp accounts but that would defeat the most important feature, which is the integrated contact list. If a tool makes mailing (as a marketing channel) fun, it is undoubtedly value for money! Comments: Mail-chimp combines advance features with fun & utility to present a wonderful mailing tool. There is no doubt that it is the best in the market and rightly so! I have tried using other mailing software; a non-tech person like me gets stuck with the UI at the very outset. Mail-Chimp is a piece of cake!! Pros: I recently started using Mail Chimp to send across bulk mails for user acquisition and boy! I have never enjoyed bulk e-mails so much! Each mail sent to a batch (list of mail-IDs) is basically a campaign. 1) Once you upload a list of mails, the inbuilt tracker in mail-chimp displays how "active" the subscriber list is which is very useful. 2) I like how I can play around with the formatting options while designing my mails once I am through with the copy. The easy to use formatting options make you look forward to adorning the mails. Lots of in-built e-mail design templates to choose from! 3) Very systematic with each aspect of e-mailing. Upload list, design e-mail, preview it, put in the subject line and other info like intimating the user as to why the mail is being sent, send a test-email and there you have it! 4) Integrated with analytics - Shows open rate, click rate (in case of in-built links). Can be integrated with Google Analytics as well. The easy to use UI, fun features and options together make it a power package! 5) MailChimp's overall heavy usage across industries is indicated by the fact that Facebook Ads Manager provides a separate tab to import data directly from a MailChimp account. Cons: 1) It is quite expensive indicated by the fact that other mailing software have incorporated "A MailChimp Alternative" as their marketing message in their Google Ads! You really need to test the waters before you are sure that your mails are ready to go via paid MailChimp campaigns. The number of test e-mails (which is just 2000 per week) can be increased slightly though. It will enable a better judgement of whether the mails are working or not, before one goes ahead with purchasing an account. 2) The software only allows you to delete a subscriber list if it has not been used for 7 days or more. I can't quite understand the point. I would like to avail the option of deleting a list whenever I want to. 3) Limit on the option of inserting multiple Call-To-Actions (CTAs) in your mail. I think, just like any other formatting option, the user should be able to insert more than one CTA in their mails, if need be from the in-built CTA provided. In case, there is more than one CTA required, we have no choice but to go with an image and then later on hyperlink it. Comments: MailChimp is a great way to introduce users to marketing automation without a high level of risk. Competitors have steep pricing structures that tend to not allow smaller websites with limited budgets test out their features like MailChimp does. It is amazingly easy to setup and use and it has also become my brand of choice for marketing automation across my websites. MailChimp has amazing integrations with many platforms and are easy to use and setup with little or no development experience. Pros: MailChimp is one of the largest marketing automation platforms in use today. And one of the reasons it has taken off so quickly includes the fact that they offer an entry level subscription that costs nothing. Literally, nothing. While limited, it still provides much of the features you will find with their paid subscription levels, it just has limits in the number of contacts and the number of emails you can send per month. Still, a great deal to test its features and functionalities. MailChimp is very easy to use and provides a host of features to help you market your site. All subscription levels, including the free entry level, lets you email campaigns, create amazing custom landing pages, pop-up forms, and create Ads with platforms such as Google, Facebook and Instagram. IN addition to these creation and publishing features, MailChimp provides automation features that allow you to create automated responses based on user behaviors. Manage cart abandonment and recommend products as well as receive notifications to all the activities taking place on your site. You can even customize your target audience through segmentation and groups, send times, time zones, demographics and other advanced features. But remember that not all are available in the free version. And what good is a marketing tool if you cannot see the results or track them. This, too, is another MailChimp strength. You get your basic set of reports and can perform A/B testing to see what works and what does not. One of my favorite features is MailChimp's integrations. I use it extensively with WordPress websites and not only use the plug ins created by MailChimp, but those from a multitude of third party developers who have done amazing things with integrations and features. Cons: Although part of their marketing and not necessarily a Con, it is still fair to say that it would be nice to have some features with limitations available to the entry level for users to give it a run. Maybe a sampling of those would help in making a decision. But because of their affordable pricing structure, it is fair to say that their pricing levels are just about right. Pros: If you ever thought about email marketing, there is hardly any chance you didn't hear about Mailchimp. It seems to be the go to solution for anybody just starting out with email marketing. What's great is that even in the completely free version you can send newsletters, send automated emails like order confirmations, abandoned cart reminders etc. with lots of integrations to existing e-commerce software. The interface is very simple to use and its built-in drag and drop editor is very flexible as well with lots of predefined elements to choose from. There is built in Google Analytics integration together with numerous other tools from Facebook to Pipedrive, so you can use your mailing list to create custom audiences on FB or sync them with your preferred CRM version to send mass mailings to your customers. What's also nice is the agency feature that allows you to manage multiple accounts under one roof. This is especially useful if you have customers with existing Mailchimp accounts that want to invite you to their existing account. Cons: MailChimp is fine and dandy if you're a beginner, but it's not the best choice for serious online marketers. There are lots of automation to choose from such as auto-responders, triggered e-mails if a specific action occurs, but the automation is completely independent of each other. Creating complex automation like "send this email to subscribers from this list, but only if they met criteria X and didn't receive email Y from 2 weeks ago already" is just impossible to implement. Apart from that, the automation that is possible to do can become quite confusing if you have lots of them. A visual representation in the form of a flowchart would be extremely helpful. Other email marketing software like Active Campaign does a much better job at this. Apart from that, the pricing is hard to grasp for a month? What if you're somewhere in between and need more features, but aren't able to make it. Robust emailing marketing software with lots of third-party connections. Pros: MailChimp is a very popular email marketing platform that makes it easy to send out mail campaigns. We use a great plugin for our gravity forms pushing anyone that submits a form on our website to a specific MailChimp list, group, or segment. This makes it easier than trying to regularly upload a list each time it changes. It's popular for good reasons as setting up templated emails is really simple, guided by a step-by-step process with additional coding and advanced setup features. It also allows for RSS feeds to be sent to a blog signup list. Creating automatic drip campaigns is another feature we utilize heavily and works great at increasing follow-up. The split A/B testing is a great way to test the messages of your marketing campaign. Being able to see the reports on clicks and users makes it one of the best features of MailChimp. We use it as a way to know our warm leads we should be reaching out to. Cons: Although being easy to use, the few spots you get snagged up on are better resolved through a Google search than a chat to the support people. They stink. The other big con to MailChimp is the way it handles lists, groups, segments, and signup forms. Because MailChimp bills you for every last contact you have with your lists, creating duplicate lists can be an expensive mistake. The only way to separate contacts without getting double billed is to use segments and groups. This creates a challenge when using the signup forms, as the person will have to choose their preferred group to join. It would be better if MailChimp either made the signup forms group based or allowed for separate lists without duplicate charges. The other big downside to MailChimp is the difficulty with managing a user's email preferences. For example, if a user only wants to receive monthly emails instead of weekly emails, creating that option can be a bit tricky without some careful planning. It would be simpler if MailChimp created a frequency option as a customer profile option. This would fail-safe against sending out too many emails to someone that wanted fewer emails. Overall it's good, but has major flaws. Pros: Mailchimp is very easy to use and has plugins for 99% of the other services my company uses online like our web host, G Suit, forms system, etc which is awesome and works amazingly. Their API is super smooth and simple so it is easy to import and sync all kinds of customer data from one service to another. 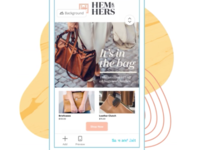 The analytics mailchimp provides from campaigns is also super helpful, and so are their new automated tasks sending out automatic emails to customers after purchase or after abandoned carts. Cons: My two major complaints are the price points and the flagging system. If you have a very small company the prices are pretty great, but as our customer database grew the prices jumped severally. I wish there is a way to pay less by opting out of some of the features we don't need or use, but it's a set strict pricing tier, all or nothing. Even with the higher prices my company kept on happily using MailChimp, until our account got flagged for 3 false reports. From the research, we investigated it appears that a rival company had their employees sign up for our mailing list, probably for market research keeping an eye on our sales which make sense, until those accounts reported one of our newsletters as spam causing MailChimp to immediately suspend our account. After MONTHS of being a paying customer with no issues, I feel them instantly suspending our account without first contacting us is unacceptable. The automated hoops they made as jump through we ridiculous, and the response time, once we jumped through those hoops, took DAYS - Days we had to pay for even though our account was suspended. two weeks down the road we got our account reactivated, but our request to talk to a member of their team was ignored. Mailchimp treated us guilty until proven innocent, which I would get if we didn't already have an impeccable record with them. We had over a year of 100% upstanding email campaigns using their service and feel like we were treated VERY unfairly. What happens next time that same competitor false flags us, forcing us to pay for service time we can not use? Because of that, I am actively researching other service providers, specifically ones that have actual human employees that reach out before drastic measures such as suspension. Pros: Let me tell you straight away without wasting much of your time, if you are looking for cheap and best solution for your email marketing campaigns then mailchimp is the answer. You can easily formulate your campaign from the predefined templates and if you are a newbie to email campaigns and have just started your career than trust me its very easy to learn and you can learn it by your own (same as i did back in days). After signup you will see a user friendly dashboard layout. just start new campaign and the process is self explaining (provided you understand whats a email campaign is), You can choose from predefined themes and layout or can make your own with simple drag and drop options and once you are done choose from email lists which you have previously uploaded (eeehh.. i should have told that before, nevermind you can save your draft and can start sending later. Now the MAIN part which we all digital marketers desires, The REPORTING of campaigns. you can almost get everything here in terms of reporting. You can see who has received your email, who has opened your email and who has clicked on the email and has taken an action on it. You can run A/B testing of your campaigns and can see which campaign is performing better than others. Bottom line: Definitely Worth the Value. Cons: Perfection is a MYTH, and so its quite fortunate that mailchimp also seems to have few flaws (or lets say need improvement). Once my boss asked me to do multivariate testing (for non techie peoples its a on step above than A/B testing) of campaigns we are running on mailchimp. So for this i have to run same campaign again and again with slight modifications in each drafted campaign. And we decided to do this at the same time and all versions of the emails will be sent at the same moment. However we kept few dummy emails, which we use to do with every campaign, so when we recieved campaigns which we have sent firstly within few hours and the later versions were recieved next day, so the process which was to be learned in single day is now distributed in two days and the results were not useful as the campaign was based on single day event. And with all this process i realized that for it may be easy for starters to learn but if you need to deep dive into it then you have to refer some other platforms too and see which you are more comfortable with. Must have to any marketing and sales effort! Pros: We used to send out marketing emails manually, batch by batch, divide and conquer among our staff. Using MailChimp saved us a lot of time and effort by allowing us to automate the sending of emails, and even track the effectiveness of the content and automate some scripted replies. Another thing I liked the most is that MailChimp provides 15 templates to start with (instead of having to build from scratch). For beginners and those who are hesistant, the Forever Free Plan allows you to have up to 2,500 subscribers and to send out up to 12,000 emails/month. That's quite a lot already especially for small businesses. To reach out to a bigger audience, you may want to consider the paid plans. 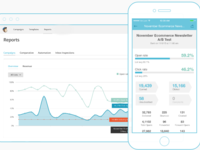 Sales and Marketing team will love its reporting tool to see the effectiveness of your campaign and email interaction from your target audience. It is also integrable to third-party apps and e-commerce platforms. Cons: The template automations are great, but for more complex marketing workflows, we really had a difficult time (maybe because our correspondence is rather too complex and multi-step). Keep in mind also that you'll have to clean up your list of subscribers since duplicate entries will still be charged to the subscriber count. Overall: MailChimp is a welcome tool for just about any Marketing campaign! The automation it provides will save you a lot of time and effort so you can focus on managing the leads. The reporting tool is pretty comprehensive and the Forever Free Plan is worth giving a try. The Pro features that come with the paid plans are worth it as well, especially for crucial marketing periods during the fiscal year. Great for sending weekly news out! Pros: I liked the ability to be creative with the fonts, display settings, choose from numerous, different templates that are available, and can even put GIPHY's in there too! I use this to send out weekly newsletters to members of a presbyterian church so that they can stay in touch with everything that is going on in the church. Announcements, sermon titles, pictures, and meeting location/dates/times are all uploaded and displayed in any way I want. I also like how I can put links to PDF files, websites, e-mail addresses, etc. Cons: Limited fonts to choose from, and inability to make a change after you send the e-mail out. Often times, when I found a mistake in a campaign I had already sent, I couldn't update the campaign to show the correction. I would have to make another campaign and send that newer version out again, which might confuse a lot of people. Also, sometimes, it would appear differently on different e-mails (i.e. aol.com vs. gmail.com vs. work e-mail). Overall: Mailchimp is a wonderful email campaign platform that helps the church members at the church stay connected with what is going on every single week. Many people look forward to receiving it. I also like how I can see who has viewed your campaign, and how many times a link has been clicked. I also enjoy being able to send drafts of the campaign to multiple e-mail addresses so that I can get input and feedback from various people before sending out the final one. It helps get the work done and info out in a creative way. Sending and monitoring gazillions of emails made easy! Pros: We needed to send our tons of emails for marketing and sales promotion of our recent international symposium. MailChimp helped us tons by handling the sending our of the emails, monitoring the receiver interaction (wherein we were able to automate certain auto-replies/categorization thereafter). Best feature for us: The Analytics Tool - very useful to see how many were reached, sent, received, clicked on a link, etc. 2nd Best feature: The Auto-responder - you can already set the script or logic of your email correspondence based on the expected replies and prepared email answers. And of course, for the small (perhaps up to medium-sized) businesses, the free plan may be workable for you. Until you decide to upgrade to a paid plan. Cons: If you're looking at a very wide audience / number of subscribers... this service may come a bit pricey. But hey, more chances of sales success as well. So just balance it. Understandably, the reports aren't displayed in real time. You can refresh the screen, but it takes a bit of time to load (relative to this era of modern fast paced apps/tech). Overall: Free version was workable for our small business. We upgraded to a paid plan for another use-case of marketing/sales for our International event. Saved us a lot of time by automating the sending or emails, including our prepared auto-replies. The analytics tool is very handy in analyzing the reach and effectiveness of our marketing campaign. Pros: MailChimp is entirely a beast in automating the email marketing. I have been using this software for my site. We have been using it to grow and generate leads for our business through email marketing. I love MailChimp because it's straightforward to use software unlike other email marketing software out there. One feature that can be very helpful for a complete beginner is to let the new users use the software entirely at no cost till a limit of 2000 email subscribers. It will give them a good understanding of the features and usage of the MailChimp. One can easily create fantastic email templates without knowing even a single line of code. These templates are beautiful and will help to increase the CTR and hence generate leads. The paid version is also very affordable. It provides the ability to send beautifully and targetted emails to unlimited people. Through the A split testing, one can see whether what things will work and what's not? It is an excellent way to know the impact of a campaign. Cons: The pro plan which is meant for the business owners is a bit expensive. Though, I liked the pricing of the pre-plan but, the pro plan is quite costly. Another limit which I would like to mention here is the inability to delete a subscriber list. Many times, it happens that a business potential targetted list changes. And, the owner wants to remove the old subscriber list. In this case, Mailchimp will only allow you to delete it if it has not been used since the past seven days. I mean, I want the freedom to cancel or modify it anytime I want. Overall: My overall experience with the Mailchimp is quite good. I am quite satisfied with the service it offers. The best part is the eye-catching templates. It has helped me to increase my subscribers engagement with us. I can track what is working and what's not. I will surely recommend this to other business or website owners. Their instructions could be better, but I have found MailChimp to be a great resource. Pros: I like that they offer free use for the 1st 2000 subscribers. That by itself is the #1 reason why anyone looking to start a subscription list should try MailChimp first. 2nd reason people should try it...MailChimp collecting peoples' email addresses and sending emails out from blog posts -- that just works great once you get things set up. And if you want to send out just a regular email - not something connected to a published blog post - that's even easier. The 3rd thing I love is the ability to see who opens the emails and who doesn't. And some other helpful analytics about how people behave when they receive your email. You don't have to have a degree in statistics to understand the quick stats that MailChimp offers. Cons: For some reason, the way they set up Campaigns and lists always slows me down. I don't know why. But if I have a client who wants me to do something quick, I have to slow down my thinking and figure out what part of either the Campaign or the list does that X task belong in first. An example: a client wanted me to have MailChimp mail something new out immediately to his recipients who subscribe to rss feeds. Here's where some time was lost: trying to determine how to avoid creating a new campaign for a one-off email to go to the list that receives rss feeds. We ended up posting on his blog, setting up a new time and date for MailChimp to search the website for new content (and then to send out), waiting for the email to get sent out, and then going back to the campaign to change the time when MailChimp sends out new posts. There's something a little clunky about it. Pros: MailChimp is very easy to use! I have been using it for over 3 years and I am very satisifed with the software, they are constantly improving the site, it became very easy to navigate. The support system is great, there are tutorials and help articles that explain step by step how to create lists etc. They have two factor authentication that keeps the account safe. It has a free, basic plan, after you exceed 2000 subscribers, you always know how much you need to pay and it sends you a notification when you are adding new subscribers and about to exceed your monthly plan. You can schedule newsletters based on the time zone, which is extremly useful in the US. But MailChimp can analyze your subscribers and suggest the optimal sending time if you prefer to choose that. It sends me emails every day about the campaign activities, unsubscribers that helps me keep the list up to date. The analytic tools are great, you can see how many people opened the email, how many times they clicked on certain links, If you are curious about a subscriber all their activity is available on their profile. The most useful feature, in my opinion, is that you can send automatic follow up emails to those who have not opened the first email, or have not clicked on it. Cons: Certain features (such as sending campaigns with time wrap) only available on the paid plan, which is a little pricy. The different list management tools like tags, groups and segments are confusing at first. Overall: It is a great software for marketing agencies or individuals because it is free up to 2000 subscribers and very easy to learn how to use with all the help articles and tutorial videos. How else are you going to gather all of those emails for your e-business? Pros: It makes a very difficult facet of growing a business fairly simple. Collecting emails. The hardest thing to do in today's society is get somebody to hand over their email. And while MailChimp doesn't automatically convince people to do so, it gives you great tools to sway their confidence. You get free landing pages that you can use with directing traffic to your site to add incentive to their email. "10% off if you join our mailing list!" You can also schedule automatic emails to follow up a purchase to request a review or offer a repeat buyers promo. They give you templates to help build these outreach options with expediency and efficiency. It's really hard to not find reason after reason to use MailChimp of you have your own business, especially an internet based business. You're not nearly as effective without it. Cons: Very little. You have to subscribe, and the levels are tiered for number of emails so you pay more as you grow but that's also beneficial to the initial user with a small customer base. Only pay for what you need. There are myriad options to use as well, so the average user may need to really learn the system to get the most from it. Take advantage of it though and it's worth your time and money. A good e-mail marketing platform that can be used by beginners or small businesses. Pros: A very strong spam filter, that has factors updated regularly in accordance with their restrictive sending policies. A new version of the application is updated every month. They provide an all in one dashboard, where we can find all the tips and they don't bombard the dashboard with all the redundant options. They provide templates, customizable according to clients and business requirements. The built-in preview feature is very helpful. You don't need to have the much technical knowledge to build a complex design. Your information is automatically merged to your account from your websites and pages. The application is very simple to use and provides easy navigation throughout. You can set up the lists and schedule tasks quickly, and with ease. 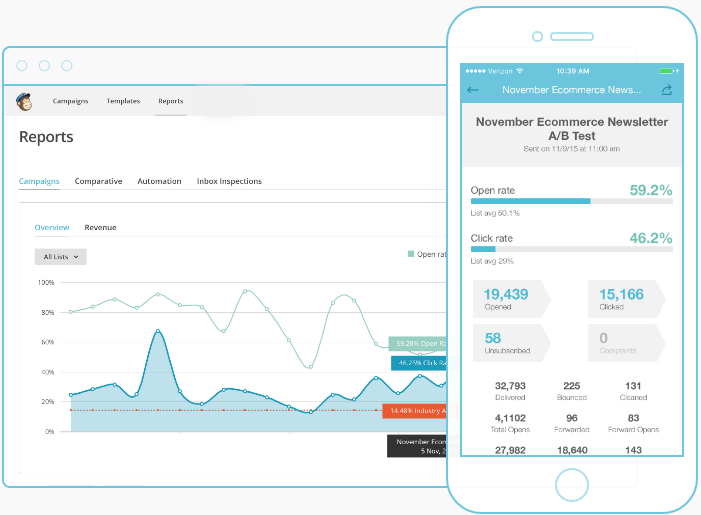 It has built-in analytics, where you can check the click and open rates. We can switch and manage multiple accounts at a time. You can test all your initiatives by the A/B testing feature. Cons: The number of test emails is very minimal. The application is not great for serious digital marketers, it only suits the beginners. The application is very costly if you have a huge customer database. Not suitable for complicated marketing workflows. The customer service and support team aren't very responsive. Pros: It is so easy to quickly make a good looking email with MailChimp. Their drag-and-drop design method is so user friendly. They give you the ability to touch some of the code if you need to, but if you have no idea how HTML works, you can still pull together a really great looking email on the first try. And it's great for small businesses just getting started b/c you can create forms to put on your website that will put contact info directly into your MailChimp list. And when you're ready to graduate to the next level, you can figure how to integrate with CRM platforms. Cons: You do have a bit less control. As with anything that's made for first time users, they've stripped out some of the ability to code and customize in favor of their easy to use modules. This isn't a terrible thing, but if you speak HTML and want a lot of control, this might not be the way to go. And there's a little bit of a learning curve to setting up lists and segments. You really need to understand what they are and how MailChimp wants you to use them. If you don't use them they way they're intended to be used, you'll get frustrated. Ex. - MailChimp charges per "person", but if you have the same email address on two different lists, you'll get charged twice. The solution is to work the way MailChimp wants you to work, which is to have some smart segments on a master list. But if you're rigid and really want separate lists, you'll probably pay more then you expect. Overall: MailChimp is easy to use, and give a professional look to first timers. It takes some work to understand how to organize lists, but if you get the hang of it and use it the way it's meant to be used, there's a lot of power there. Pros: Integrations, templates, automation - what's not to love. I've synced up MailChimp with my website captures, my woocommerce stores, and I love that I can create automated workflow sequences based on triggers and segments. You can totally use Mailchimp as a Customer Relationship Contact tool. I'ved helped set up robust expensive CRM tools for some of my clients and I love that Mailchimp offers the same high priced features for a fraction of the cost. I love that also include layout templates to help you get started. Someone with zero design experience and HTML skill can create attractive emails to their clients. I also appreciate the automated integrations with some popular online e-commerce tools. Cons: What I like least about Mailchimp is collecting additional information about subscribers. For example, I wanted to collect the state of each user so I can local specific offers, and the address fields are either the entire address or nothing at all. I was able to use the text field as an alternative, but it would be nice if I didn't have to backdoor it. I'd also like to see more templates added. We're in a very visual time with social media and web design, why hasn't Mailchimp caught up and created more templates and cycle them out every month so we have fresh layouts to look at? Overall: Their customer service is super responsive. Upgrading and downgrading is very simple. Someone with very little email marketing experience can set up the account and be up and running in a few hours. I love that I can upload files too and send files right inside of an email, and the autoresponders are probably my favorite reason for using MailChimp. Mailchimp is a genius software for generating email campaigns that look professional. Pros: Mailchimp allows you to create beautiful, professional-looking emails. Initially, there is a bit of learning curve for the tech illiterate, but its recent update has made it even more user-friendly for newcomers. You can use pre-designed templates or create your own, and the possibilities to unleash your creativity in design is pretty endless! The end product with Mail chimp is always sharp, professional, and beautiful. Once you are set up in Mailchimp with your list of contacts and a template you like, generating attractive, quality emails takes very little time. Cons: I think it still takes a bit of figuring out if you have never worked with software like this before. It's not hard, it just takes patience to get in and find out all the options that are available to you, especially if you want to do more personalizing on designs. Also, all your photos that are used in the software will have to be uploaded, which can take a while. (If your internet speed is slow, you will likely become frustrated at the time it takes for a photo (especially one with more size) to upload. This was something I didn't account for when initially planning my time investment, but once you have the photos uploaded, they can be used at a moment's notice in any of your templates/designs. Overall: I work at a non-profit where regular communication is essential to inform donors of our progress, and to recruit volunteers for our organization. Mailchimp has become one of my go-to software programs because it gives me all the design flexibility I want (including inserting our logo and photos of our organization), I can send hundreds of emails at a time, it allows me to track opens and clicks within the email (which has helped us understand the effectiveness of our campaigns), and gives me a professional end product that looks sharp. Finally, mailchimp is awesome becuase it does everything we need it to do at no cost to us. I don't know of a better email campaign software! I teach a class to volunteers at our non profit on ways they can communicate better, and I always show them the treasure I have found in Mailchimp! Pros: I have been using Mailchimp for the past 3 years and it is packed with great features, which is easy to understand and navigate. I really appreciate being able to connect it with our CRM platforms so we can have everything running cohesively. It's really a great platform for all levels of email marketing, whether you are just beginning or super experienced. There are easy-to-use templates and the ability to customize/code your own. It has everything our team needs for email marketing! Cons: The one thing I have to say is during the one instance that I did need some help, I found it annoyingly difficult to find contact info so I could get help from a real person. They have a lot of helpful articles, but it was truly a pain looking for something more. I found a message/email and never heard back. Luckily, this platform isn't difficult to use and I didn't have a big issue at the time, but rather a question. It would have been nice to have immediate human help when I needed it. Great customer service matters, even for a software platform. Overall: Our team has had a great experience sending email marketing campaigns as single campaigns and running automated campaigns. There are a lot of customizable features that we appreciate and make it easy to create what we have in mind. Cons: After some time and as our e-mail lists grow bigger, the software becomes virtually impossible to use at its free version. The way it corners users to pay is quite intelligent if you ask me, but it can be a bit frustrating when the price is not something you had budgeted for or something that would normally produce any kind of earnings. As most of the e-mails we shoot with MailChimp are not sales e-mails, it has been hard to justify any kind of investment. This happens at about the 2000 users mark. Other than this, I also thought the template editing tool was a bit hard to use and I gave up on changing any layouts after some time, which is not a big "con" because the ones that are provided are good for almost any use, but sometimes you have something specific in mind and it would be nice if MailChimp made it easier to design it. Overall: Using this to keep our e-mail subscriber on the loop about our company's news and send out informative e-mails to large lists of partners. We stopped using it to answer leads because it would be too expensive. Pros: I love how fun MailChimp has remained throughout years of growth and interface transformations. I've used Mailchimp for a long, long time and one day I received a plastic Chimp in the office. I was hooked. The 'attitude' of a tool goes a long way to how much we enjoy using it - and I tend to use the tools that bring me joy much more than those that feel like 'work'. MailChimp is peppered with little touches like this. For example - the high-five every time I hit send. Never gets old. Fun aside - the free tier is a godsend for small businesses, non-profits and artists like myself. I've used the paid tiers at work and the free tier at home and they've done an excellent job dividing up what features belong behind a paywall. MailChimp is a totally capable mailing list manager on the free tier. Cons: Sometimes it can be challenging to wrap your head around the workflow of MailChimp. They are constantly tweaking the interface, which is good because it gets better with each iteration. But I'm not sure they have nailed it yet. Using merge fields can be clunky too. While MailChimp is easy to use, things like A/B testing and automation are likely beyond the reach of the novice user. Overall: I use MailChimp to keep my music fanbase informed of shows and releases, as well as keeping them engaging with my blog and social content. It's great to see which messaging is working an which is falling flat, as well as how often my links are being clicked and by who. Really powerful reporting here, and yet simple to understand. I also use the MailChimp Subscribe iPad app as a mobile sign-up terminal at my live shows and it works like a dream. Pros: Easy UI and email editor interface, robust core feature set, integrations with most common shopping carts, transparent reporting and traffic statistics, good help articles, support, and tooltips. Mailchimp does very well in its core areas of competency, and is obviously taking very aggressive steps towards automation and optimization which will keep it relevant. Excited for more advanced integrations between Shopify and Mailchimp. Cons: Default templates are not as good as one would like, if you care about seamless branding etc you will need to spend some time and money to create good templates within Mailchimp's limitations. New features (postcards, landing pages etc) are for all practical purposes still in Beta. They show promise but feature limitations are there. Just keep this in mind when you're using them and play to their strengths. Paywalled "Mailchimp pro" and list based social media tools should be included by default. Mailchimp used to be an all in one solution which scaled via list size---this is no longer the case and unlocking this additional functionality feels like a cheat. Overall: We have used Mailchimp for close to 4.5 years now. It has helped us grow our company, and has been a great partner in doing that. Mailchimp has a very pro-active development and update cycle which goes out of its way to introduce, explain, and help you get used to new features as they are introduced. They manage to keep the merchant in the loop and updated to best practices without pushing confusing or broken updates down your throat. The user interface is so clean and easy to navigate and the product is so robust that we have never had to contact support... ever. In almost 5 years. Pros: I've used Mailchimp for a periodic newsletter to donors of a non-profit I work with. First and foremost, you can't beat the price - free for sending messages to up to 2,000 subscribers, with a cap of 12,000 e-mails a month. This easily met the organization's needs with plenty of capacity to spare as it grew. It's easy, once you have a template set up, to send very feature-rich and visually attractive e-mails to your recipients. You don't need any coding skills. The testing feature is also very helpful - I liked being able to send a test message to myself first and review it closely to make sure it looked exactly the way I wanted before sending it out to the entire distribution list. The analytics feature is great. I liked being able to report detailed statistics to the organization's president about how many people opened the e-mail, clicked through the links, etc. Having measures of the success of each message allowed us to fine-tune our approach for future ones. Cons: Setting up a new template will probably be the biggest challenge for a beginner if they have not done anything like this before. Editing the templates can be a little clunky and require some tweaking to get it looking exactly right. The work flow to create and send a new e-mail can seem a bit tedious once you've done it many times and know how it works, but it's good for beginners. A fast-path for more experienced users would save time. Overall: It's a nice entry-level way for organizations/businesses without much of a marketing budget to get started on doing more sophisticated e-mail marketing after they're ready to graduate from just sending plain text messages to a distribution list from their everyday e-mail platform. I've recommended it to several other organizations when they're ready to make that move. Comments: Many things have changed for the better at MailChimp, in my opinion. In the last year, MailChimp has added a number of key functions to their free services which are really helpful for small businesses or nonprofits just starting a list or with a small email list. Automation is available for all types of email marketing from product retargeting and purchase followups to training series' and RSS-to-email for blog lists through MailChimp. Pros: MailChimp has upped its game for free services for small lists. The number of services available via automation and the large numbers of 3rd-party integrations such as Zapier, WordPress, Shopify, WooCommerce, EventBright, Insightly, etc. make it easy for us to do pretty much everything we need to do with our email lists. There are hundreds of services that can be integrated with MailChimp. MailChimp also allows us to segment our lists into smaller target markets and the service provides campaign tracking that lets us see quite a lot of detailed information on recipients' response. For smaller businesses, MailChimp offers big value in pricing. It's free up to the first 2000 subscribers for 12,000 emails monthly. Cons: There are a number of templates provided and many useful functions as mentioned, but the steps to set up the available email automation haven't been intuitive to our team. It required searching for tutorials or reviewing the support section pretty closely to figure out all the steps to connect the moving parts of any of our automated campaigns. We also think the forms could be better designed for the templates and it could be easier to understand how to make design changes. MailChimp makes it easy and affordable to quickly create polished, professional emails. Pros: What I love most about Mail Chimp is the ease of use. It took a few weeks of emails to get the hang of the functions, but now that I know where to go, I can create emails quickly and efficiently. I also like UI/UX of MailChimp, which is clean, simple and friendly. The language is fun but not overly cutesy, which is the tone de jour of software lately. The reporting and analytics are simple to read and understand, and I can send the reports to stakeholders quickly via email, so they have access. I love that they have integration with many of the popular CRMS. I haven't yet had a chance to dig into the more advanced features, but I'm eager to use the landing page options as well as social media integration. They also have a lot of helpful how-tos, and their customer support was quick and helpful. Of course, the low pricetag is a huge selling point for folks with limited marketing budgets. Cons: I would like additional design tools for the emails. However, for new users or folks with limited design skills, MailChimp makes it very simple to create create polished emails. Overall: cost-effective, easy to use and create professional emails even with limited design skills. They have an immense amount of features and if they don't have the feature you are looking for you can probably integrate with a third party app. Cons: Even though they have a very user friendly interface there is still learning involved if you are unfamiliar with things like social media/email marketing and some coding. They don't integrate directly with Facebook lead ads. You have to use a third party like Zapier. The template builder is overall good but has a few rough parts like editing text and moving/ resizing elements and images. Overall: Mailchimp allows us to communicate and promote our outdoor adventure rental business to both our current customers and prospective ones. One of the best parts is it saves a ton of time. You can spend a day or so preparing e-mail templates and campaigns for a news letter for the next few months and then automate and schedule the emails to send exactly when you want them to be delivered. It also makes it really easy to integrate ads, emails and promos from different platforms. For instance I can crate a facebook ad on Mailchimp, schedule it and link it to my website where people sign up and are automatically added to the Mailchimp newsletter and are then automatically send a welcome email with new or a promotion. Once set up all of this is done automatically while we are with customers and working on other things. I do wish that there was a direct way (without third party integrations) to have a Facebook lead ad connect directly to my Mailchimp list but I think this may be more on Facebooks end than Mailchimps. Another valuable feature is the contact rating which is based on how active/responsive the recipient is to your emails. This allows us to see which subscribers are worth investing more time and also gives us a better idea of our audience. Mailchimp has a plethora of features and a range of pricing options for more features. For small business like our the lower priced options are fantastic and more than enough. Pros: Mailchimp is spectacularly easy to use. It is very intuitive and also it is free if you have less than 2,000 subscribers, which makes it the go to e-news for small nonprofits or groups. It also has a lot of free features that keeps all of your e-mail campaigns organized and customizable - they also have free templates that you just need to adjust to your needs with minimal hassle, even if you do not know any html. Their reports feature is also really handy! I personally use it to see which links people clicked on the most, thereby allowing me to tailor my links to my subscribers interests. It also shows you the best days to send your email and your open rate in comparison to your particular industries average. Finally, I love that you can upload subscribers through an excel file or cvs. You can also update or change a subscribers email in the same way! So instead of changing an email one by one, you can just upload those changes. Basically, if you have simple needs and a small number of subscribers I highly recommend it! Cons: The only thing that I have hit a wall with this product is in trying to really customize it. I do not know html so trying to adjust certain templates to do something like a picture scroll, or change a color is difficult and I have yet to figure it out. However, I believe that if you have the correct knowledge it should be simple to change. Overall: The ability to send out an email campaign and bring people who were scattered in my organization together, by keeping them informed of what was going on. Reports on what worked best for my subscribers to keep them engaged. Also it is free to use under a certain number of subscribers so it is perfect for my needs! Pros: MailChimp is a email marketing tool that's very user-friendly and affordable with their free accounts or flexible with "Pay As You Go" if their monthly subscriptions don't suit your needs. You can easily create professional emails with pre-made templates or add a personal touch with their design tab and drag-and-drop editor. Once you're done, your campaign can be sent out to subscribers immediately or it can be queued to be sent out at a later date. MailChimp provides many integrations through popular services like Facebook, Google Analytics, or ZenDesk. Some of my favorite features include TimeWarp so my emails can be sent out to subscribers based on their time zones, their reporting tools so I can track how many subscribers opened my emails and/or clicked my links, and email automation so emails can be sent out based on certain triggers. MailChimp's simplicity and affordability along with many beneficial features is why I currently use it for my blog and used it previously at one of my jobs. Cons: Customer support is very limited as you can't reach them by phone and if you want quick service via live chat, you have to be a paid subscriber. Overall: MailChimp has allowed me to not only maintain but grow my audience with emails that strengthened my relations with clients and subscribers. Pros: The service is free and there is a paid version with larger features where it is one of the largest marketing automation platforms used today The service is simple and has many great features and suffers from the lack of an interface in Arabic, but there are many Arabic explanations for the program you find in the internet though The free version is very limited but offers many of the features you will get at the paid subscription levels. It contains only the limit of the number of contacts and the number of emails you can send monthly. MailChimp provides you with live chat between you and your customers. Your product or service through a page filled with ads but you go directly to the client via email using a custom message Use this tool when you want to reach a specific client with a direct message and you can see whether the message is read or not. Considered one of the most famous postal services. Easily target your desired email lists. Provides you with an integrated analysis of your promotional message. The freeware has been paid but the services are low cost. You can test the transmission to see if the user will receive it in your unwanted inbox. Pros: MailChimp is an excellent tool to put into action the email marketing strategies that we propose in every marketing or sales department. It has a very efficient contact list management. Totally manageable data. It has a very interesting feature: When sending an email, it analyzes why an account does not receive the sent message and if it determines that the account does not exist or was deleted, it automatically deletes it from the list. Export and import contact very easily. It also allows joining one or more lists. Each mail is called Campaigns. These campaigns are totally configurable through a very intuitive and easy-to-use graphical interface. In addition, you can copy a previous campaign and send it again with the changes you want, in case you decide. A few weeks ago they included the option of resending campaigns to accounts that did not open the mail. Function that allows our reading statistics. The free version is a very good initial step to know the tool. It has no restrictions, only the number of subscribers you have in your contact lists. Cons: It is a very complete tool. The only thing that I would ask you to improve is the use of other languages, both in the tool and in your user manuals and the possibility of issuing more configurable reports. Even that reports can be automatically sent to an email account. That would offer a better user experience. Pros: I have been using Mailchimp for years for a variety of different organizations and my favorite part is that you pay based on the amount of subscribers. This allows smaller businesses that are starting out, or groups sending emails to do so for free. As your subscriber list grows (and presumably your business as well) your costs increase. Mailchimp also has a lot of great features for tracking your email's performance and automated options. You get an impressive amount of features for free. Cons: There is very little I dislike about Mailchimp. The one issue it that often emails received in Gmail get send to the promotions folder. This is based on Google's algorithm and not anything Mailchimp can prevent, but it does mean that emails can be missed by subscribers. Overall: I use Mailchimp to manage email marketing for organizations that have less than 100 subscribers up to 16,000. Mailchimp allows you to schedule your posts, which is extremely useful. Paid members have the option to let Mailchimp choose the best time to send your emails, though this isn't available to people using the service for free. There are several extremely valuable features that Mailchimp offers for free that I feel need to be mentioned. First is the A/B testing. 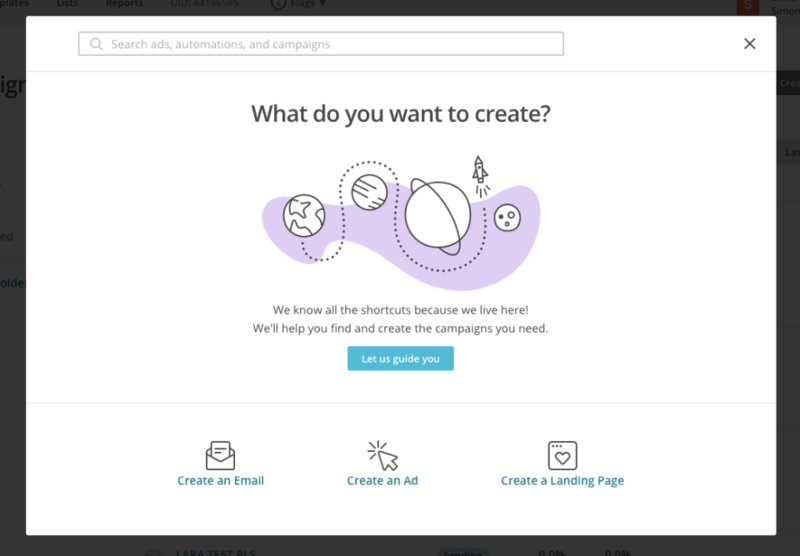 You can set up campaigns using different design formats, different subject lines, etc and Mailchimp will monitor and determine which was a more successful campaign. Second is the ability to set up automated campaigns. You can set up a campaign that sends emails over time, or you can also send emails when someone is added to a list. It's extremely useful to be able to get out the same emails with little effort. Comments: I've been using MailChimp for a year, along with other email marketing software's, and MailChimp is one of the best email marketing softwares in the market. I am not a fan of the customer support system, I've had to contact the customer support twice, each on different accounts. On first was on a paid account and the customer support rep was very helpful, the second was on a free account and I'm still waiting for their response. I hope they get back to me because it's still within the 30 days of support. One of the reasons I don't like this system is because the brands I work with are mostly startup or small businesses and most of them have heard of MailChimp and they know it's free for 2000 subscribers, however, they don't know what restrictions the free plan comes with. And their suggestion to everything is "Contact customer support" If only they knew I also wish the free plan came with a bit of automation but I guess what is what Drip or SendinBlue is for. I also wish MailChimp came with an inbuilt mini tutorial on how to use their software, I think people new to email marketing would find it very useful. I remember the first time I tried MailChimp I had no idea that I had to create a template and then a campaign. I use MailChimp with a lot of integrations to widen its use, I use MailChimp with Privy, Drip, Hubspot CRM and many other tools thanks to Zapier. One of the features I love about MailChimp and I'm yet to find in SendinBlue or Benchmark email is the ability to have an image header in the signup form. My review is mostly based on the free plan, but despite the flaws I'd still recommend MailChimp to individuals and companies looking to get into email marketing. Pros: Mailchimp is easy, it is also the go-to email marketing software for small businesses and bloggers. It is easy to use, the signup form allows more customization options than most email marketing softwareS. The free plan allows 2000 subscribers. Recommendations to other buyers: Mailchimp is a great email marketing solution for beginners, the interface is clean and there are less chances of being overwhelmed. The free plan is great for bloggers or those who want to start focusing on building their list. As your skill increases you would need to upgrade or try a different Email marketing software because the free plan doesn't come with several important features. Pros: Mailchimp is a super easy to use email marketing platform. It's small-business friendly by offering their "freemium" model that allows you have a subscriber list up to a certain number of contacts for free. Once you get to a certain level of subscribers, only then do you need to pay. They have a nice variety of flexible and well-designed templates to choose from that render nicely on all major email platforms. They're even responsive for mobile friendly reading considering over 50% of all email is opened on a mobile device. I like being able to use their WYSIWYG editor in combination with the code view. That way if something gets broken somehow, I can always dig into the code and fix it myself. The email templates they create are also available for download at HTML files. It's really nice they share their code for people to use and learn from. Their basic app allows you to check on your open rate and subscriber list, which is handy. The desktop view has a lot of helpful data that you can look at to understand what your best performing campaigns are. Anytime a small business owner or marketer is looking for an email marketing platform, Mailchimp is always my go-to recommendation! Cons: They change their interface a lot, which is annoying to have to relearn where different features are after an "update". Sometimes, like with all WYSIWYG editors, the layouts can become broken for whatever reason. You may need to dig into the code view to find unclosed tags or whatever to debug weird formatting that may happen as you're creating your campaigns. I've never tried to do anything fancy with Mailchimp like triggered emails or drip marketing campaigns. Not sure if it's possible with this software. But it's a solid basic email marketing platform. Pros: I have used Mail Chimp on and off for a few years now. I used to run a technology website that had a pretty large subscriber base with emails. I can't even imagine my life without Mail Chimp, sending the weekly emails to the subscribers. It is so incredibly easy to use and has many features with it. First you import your email list into the system and they keep track of all of your subscribers. You can organize and customize the email from within their browser client. I believe Mail Chimp handles you as a trusted email and so it goes through everyone's spam filters. The best part is after you send the email and watching the statistics. You can see who has opened your email, how many times, and if they clicks on the links within it. There is all kinds of other statistics you can see from it as well. It is incredibly helpful to see if your emails are having the effect that you want. I can't imagine trying to figure out how to do all of this on my own and makes it so nice it is handled all for you. If you do any kind of mass emailing or even moderate emailing then you don't know what you are missing if you don't try Mail Chimp. Cons: It is hard to say much wrong with this email software but the only drawback I can think of is I never did find a way to hide the Mail Chimp logo when I used it. I am sure there is a way to hide it within your email but I never did find an easy way to disable this. Pros: For a small business the free plan is perfect. I've been using mailchip for some time now to send out a weekly email to all my clients offering support and the chance to book a phone call every week. As a freelancer with a small pool (around 25) of clients, I can make great use out of the free plan. I've found mailchimp to be relatively easy to use and love the scheduling feature. I can schedule my weekly email in advance - which is particularly useful if I know I will be out of the office at the time I want it to be sent. I use mailchimp to direct clients to various pages on my website which can be done easily through the use of buttons within the email and the software allows me to add my logo and images to the email campaign. The metrics provided for each campaign that I send out are as detailed as I need them to be and show me who has and hasn't opened my emails and the links that have been clicked. Cons: For someone not used to the platform I feel the software may be slightly difficult to use at first. It's important to take note of the tutorial once you first sign up to fully understand what you're doing. It would be great to see even more templates added to the software for a bigger variety of campaign needs. Overall: Mailchimp has helped to save me valuable time by providing a near perfect solution to keeping in touch with customers. It takes me just a few minutes each week to create my email and as mailchimp holds my customers email addresses within my account there is no need to find and type them all manually into an email as I had been doing before. Being able to schedule emails has been a significant pro for me when using this software as my weekly customer update can be sent at the same time every week whether I'm in the office or not. Mailchimp also complies with the new GDPR regulations which is reassuring to any small business owner. Pros: Mail Chimp has multiple plans available from a fairly generous & basic freemium plan to more robust plans that allow for much larger subscriber list sizes. Their pricing is very reasonable for the industry, and since their plans are scalable, they're a great choice for smaller/newer businesses because you can start out using the freemium plan and gradually upgrade your plan as your business grows. They're an excellent value for small and medium-sized businesses because they offer very good reporting, have an easy-to-use and intuitive email template editor & they support basic email personalization and automation as well. Cons: Although their email automation is fairly robust for the price, it's difficult to use and there's no easy way to view email flows for more complicated campaigns with multiple rule sets and paths. Although email list segmentation is supported, all email lists are kept separated, so you cannot universally manage segmentation across multiple lists. Overall: Mail Chimp was a great choice for us because we started out using the freemium plan when we just starting out, then as we grew our business and customer email lists, we were able to easily upgrade our account plan as needed. They support everything you would need to easily run basic to intermediate complexity email campaigns. They do support more advanced features as well, but performing more complex list segmentation and automation flows are somewhat confusing and fairly difficult compared to other higher-end (and also more expensive as well) email service providers. Pros: MailChimp makes it extremely easy to contact everyone on your contact list in the way that best suits the communication you're trying to send. Anything from simple newsletters to static lists, to dynamically tagged segments within those lists, to individual transnational emails, MailChimp takes care of all of the technical and compliance aspects of email delivery so you can focus on contacting the right person at the right time to get your message heard. Cons: There is very little about MailChimp I don't like, however if I had to choose one thing, it is that I think their built in templates are all too similar and it is too easy to spot all the MailChimp email templates hitting your inbox. Yes, you can really customize emails if you dig really deep into the technical side, but not all end users are up for that. I would like to see more user friendly customization on the normal MailChimp templates to further differentiate brands outbound emails from one another. Overall: Overall we are extremely happy with MailChimp and have no plans to move to another outbound email provider anytime in the foreseeable future. Pros: Mailchimp makes my life a million times easier. It manages my subscribers, gives me insight into their activity and is so well built. It's simple to use, and easy to train anyone in using at the basic level. I recommend Mailchimp all the time, and train people in how to best use it for their charity or project. Mailchimp's integrations are also fantastic, it works with so many different apps, website builders etc making it so easy to use. There's a brilliant resource of instructional videos and guides that help you through anything you get stuck with. Mailchimp is a fantastic tool at whatever level you want to use it at. You could just send basic emails to one list of subscribers, and it would do a great job at that making it a lot easier. Or you can earn to use it in much more depth, using the stats and automation features. Cons: If I could change anything I think it would be when you edit text, it appears in a separate box rather than editing it in the live preview. I understand why but it can be hard for less-experienced people to grasp this. However, Mailchimp is improving all the time, often when I have found something frustrating it has been fixed. It's brilliant. Overall: I recommend Mailchimp all the time, helping people learn how to integrate into their systems. It's a fantastic free tool, and has exponential possibilities, especially once you use the paid features (which really aren't expensive!) I love Mailchimp! Pros: Mailchimp is an easy and intuitive way to create newsletters, email campaigns, and survey subscribers. We use Mailchimp to handle a newsletter for a student organization at a school, and it perfectly suits our needs for creating quick, attractive, and responsive emails for our member-base. Mailchimp has many templates for emails, creating an overall product that is much more appealing than plain-text email. Embedding media such as photos and YouTube videos is also easy to do. The final products make efficient use of data, never exceeding email size limits and improving the overall performance of the emails. For small operations, Mailchimp is affordable. They offer a free subscription for growing companies to start off using the service or for limit operations to remain on. Overall, there's not really another solution like Mailchimp on the market for managing newsletters and creating well-formatted emails, especially not for the price that the Mailchimp team offers their product for. Cons: One change in recent memory is the defaulting of email opt-in to single opt-in, requiring no confirmation for emails to begin being sent to an address. This can be annoying for users as spam sign-ups might pile up. While the free version of Mailchimp covers our usage, the pricing can ramp up depending on the growth of your subscriber base or frequency of emails. This can quickly lock you into using their service, which is clever but inconvenient. This is not a problem that my organization face though, as it is unlikely we will grow to that size. Automated functions, such as for reoccurring imports from a spreadsheet, are not present and require roundabout third party solutions in order to implement. Pros: This software can very quickly allow you to setup an outbound marketing program that can send multiple emails based on different events that occur on our website. If you start off on the free platform you are still given access to an amazing level of control over sending emails to list of clients that sign up for various newsletters. I have to also mention that almost every CRM, scheduling app, and web hosting site seems to natively integrate with Mailchimp via API making it very easy to get up and running. Cons: Getting the advanced features to work takes a some work and the full capabilities aren't easily seen right away. Sometimes I find that I am advancing too slowly through the screens to setup a campaign. Overall: We are able to have multiple landing pages on our website that have sign up forms that automatically integrate into Mailchimp. Once someone signs up, I am quite assured that our drip campaign will methodically start to send content to the person who signed up and it can change course based on the clients behavior. We also were able to setup and do some deep integrations without exceeding the free plan for quite some time while we evaluated.